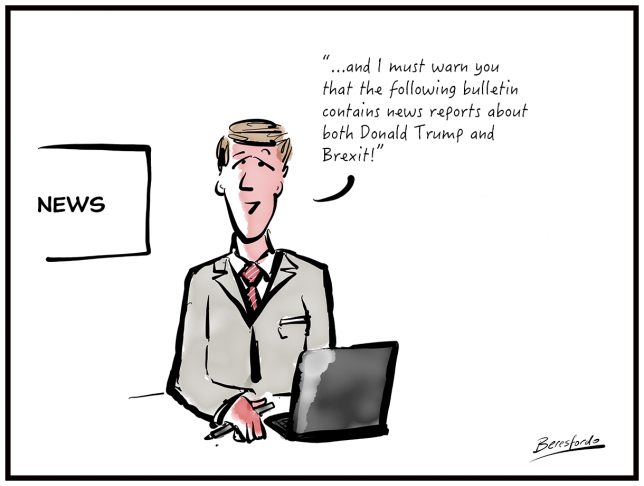 Not Brexit and Donald Trump again! Wouldn’t it be great if there was a day that we had a news bulletin without an article about either Brexit or Trump? 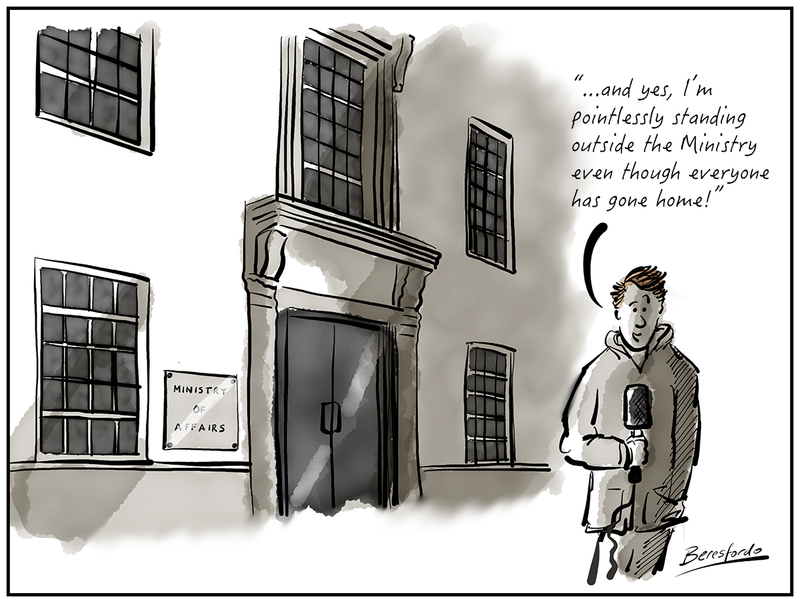 News reporters love to stand outside empty buildings! It’s all a bit pointless really. News reporters having to be “live” outside darkened buildings well after all of the action has already happened and everyone has gone home.